We are Pensacola's Premiere Vintage Clothing Boutique! Bari & Jeremy, Owners and Operators, have been at the game for many years putting our hard work and sweat into our work. 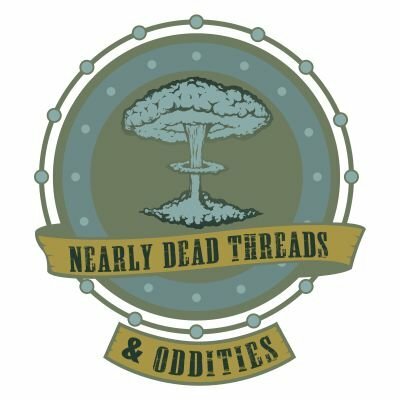 Nearly Dead Threads has been seen in Fashion Week and Bari is also the Co-Host and Organizer of Pensacola's first ever Punk Rock Flea Market. We continue to provide unique vintage clothing from yesteryear, local art, and oddities. We strive to satisfy and be as unique and original as can be. We are located at 3731a West Navy Boulevard Pensacola, Fl 32507. You can also find us on Facebook, Etsy, and Instagram. Call 850-748-5400 for more directions. We are beside Blue Moon Antiques and Remember When Sweet Shop.